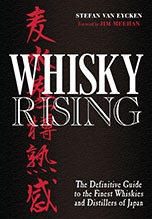 Japanese whisky enthusiasts worldwide keep asking me about Karuizawa: whether it's still possible to visit the distillery, whether it's possible to buy the whisky in Japan, what sort of releases are planned for the future, ... To answer these and many other questions, here's a bit of recent history and a few glimpses of what's to come. First, the past. Sadly, it is no longer possible to visit the distillery. In fact, the physical location was recently sold to an unknown party. It is very unlikely that this unknown party is in any way connected to the drinks industry and/or has any plans to revive the distillery. Why, you may ask? Two reasons. First of all, the entire stock has been sold and who in their right mind would buy a distillery without stock? 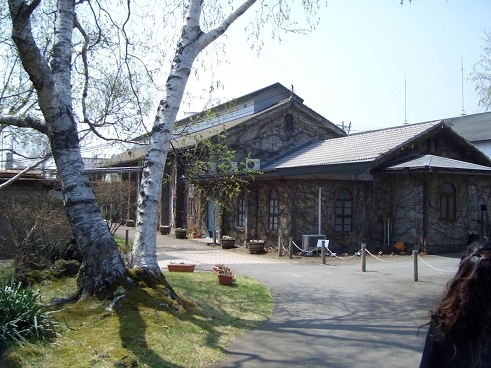 The second reason may come as a surprise to many people: Kirin declined to sell the distillery (when it was still a distillery - including the stock - rather than just some buildings on a piece of land) on at least two occasions in the past. In 2008, two different parties (one from the UK, the other from mainland Europe) expressed a strong interest in purchasing the distillery. Kirin said no. The rest, as they say, is history. I don't really have a business mind, so maybe readers can help me out here, but I fail to understand why a company would refuse to sell a distillery to people interested in reviving it, but has no problem selling the stock to one company and the real estate to someone else. There's not much point in speculating, but I can't help thinking: "what if...?" What if they had sold the distillery in 2008? Would a "Karuizawa Revival", or a "Karuizawa Renaissance", or something like that, be in the stores right now? Isn't it sad beyond words that Kirin wanted Karuizawa dead, rather than alive but in someone else's hands? Now, on to the future. As most of you will know, Karuizawa's legacy is in the hands of Number One Drinks. 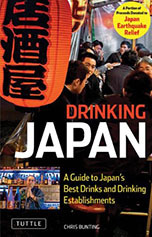 As long as the stock was the property of Kirin, Number One Drinks was unable to sell Karuizawa in Japan. (Some exceptions were negotiated - e.g. the Oxfam charity bottlings - but they were exceptions.) Now, that Kirin is no longer the owner of the actual malt, Karuizawa whisky can be sold again in Japan. I know for a fact that a release for a famous Japanese liquor retailer is in the works, so keep your eyes peeled! Truth is, however, demand in foreign markets is so high that Japan is now just a market like any other, regardless of it being the home market, and it's difficult enough for Number One Drinks (not to mention the person actually bottling these Karuizawas) to keep up with demand from abroad. Speaking of demand abroad, fans in the United States will be able to officially welcome Karuizawa to their shores. Two new Noh-bottlings (completists take note!) are in the pipeline, arranged by a well-known US liquor retailer. Feel free to guess. On the European front, the first Asama release (for Sweden and Taiwan) will be followed shortly by another one for the UK market. And then, there is the 52-year old Karuizawa, which will be the oldest Japanese whisky when it is released. To be honest, most of the mail I get, is from enthusiasts (read: collectors) asking when, what, how, how many, how much, ... The 1960 cask in question was a last-minute find, but the contents have already been transferred into a stainless-steel container, so it's no longer aging. The angels have taken more than their fair share from that particular cask, so the owners were keen to stop any further evaporation. There wasn't much to begin with. In fact, it will be an extremely limited release (a two-digit outturn!). Number One Drinks is currently working on the presentation, that is to say, the packaging and a book(let) written by a prominent drinks writer. No word on pricing, but you can imagine, if you know that the most expensive Japanese whisky until now - the Suntory 50-year old Yamazaki - retailed for a million yen (about 12,500 dollars). The Karuizawa will no doubt be north of that. How much? We'll just have to wait and see, and start saving up... if it's not too late already. Hi Stefan, once again I am fascinated by all the inside information that you seem to have regarding Karuizawa. My "home" whisky shop in Zurich is currently offering a 27yo, a multi-vintage Noh bottling from the years 1981, 1982, 1983 and 1984. I guess I should go and grab a bottle? It's about 24,000 Yen. The only bottle that I have at home is a 15yo from the old core range. Hi Pierre, thanks for your kind words, as always. Regarding the multi-vintage, I'm not sure if you should go and grab a bottle. I haven't read any reviews. That seems to be the problem in general with Karuizawa: they disappear as soon as they are released, but there are very few reviews of the actual liquid, which seems to indicate very few people are actually drinking them. I guess most of these bottles are sitting in collections. Hi Stefan, you are certainly right. My gut feeling is telling me not to get that bottle. The only review that I found was published on the shop's website... and it's (of course) glowing. Anyway, there is many another excellent whisky that you can get for 24,000 Yen. Pardon me for saying so, but Kirin sound pigheaded & stupid! What a waste that Karuizawa will be lost to us! there are echoes of the stupidity that led to the loss of other great distilleries (Port Ellen & Rosebank to name just 2). At least Mars is distilling again & the indefatigable Ichiro Akuto is doing his bit. I think the growing tsunami of interest in Japanese whisky will make Kirin regret their decision in the future. It's strange that so many Japanese companies think that their products are inferior in some way. There seems to be a sort of cultural cringe that dictates that (in the case of whisky) that Scotland still makes the best. As we all know, whilst the best of Scotland IS great, there is plenty of ordinary Scotch & many Japanese whiskies that are outstanding by any standard. Back in the seventies Gibson & Fender were making crap guitars in the US, but the Japanese made "lawsuit" copies of their guitars were superbly built & superior in every respect, yet Gibson & Fender still had the "name". Likewise the Japanese "copies" are better than many of the originals from Scotland. It was purely a business/economics decision that led to the closure of Port Ellen. If that decision had been made on quality grounds Port Ellen would still be distilling. The closure of Karuizawa may have been a business decision that made sense, but in other ways it doesn't make sense at all. As you rightly point out, as a halo brand, Karuizawa would have been a great marketing tool overseas for Kirin. Stefan mentions that Mars whiskies are not particularly good sellers on the home market & yet on straight quality grounds, it's hard to know why. But, of course, we are all obsessive/compulsives whose opinions are, as you say, like farts in a hurricane! And the better we promote Mars, Akashi & Chichibu the less likely they are to suffer the fate of Hanyu & Karuizawa. Yes, that is our mission! I look forward to trying Chichibus that are more than 3 years old! Are you trying some rums whilst you are in Latin America? There are some gems there! So, any word on who this prominent U.S retailer is?